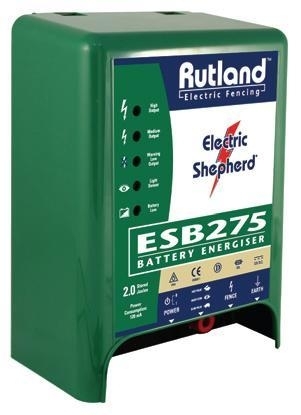 ESB 275 Battery Fence Energiser. 12v Wet Cell Battery Powered Energiser for permanent and temporary fencing. For areas without mains AC power. Expected battery life 26 days. Distance rating 1.5 km high vegetation to 25 km no vegetation. Battery not included.